In this spoken English lesson you will learn how to use the word ‘water’ in your daily English speaking conversation through interesting idioms and English phrases. The word water can be used in English in various phrases to mean different things. Improve your English speaking and speak English fluently & confidently. Since I’ve been struggling with finances I feel like a fish out of water. I’m going to learn to ride a bike this year, come hell or high water. Note: the word hell can sound offensive so, in a professional situation, you can use no matter what, in place of hell. Our customers have to leave a lot of negative feedback on our website; I think we are in deep trouble. Tim borrowed his elder brother’s watch and lost it, he is going to be in hot water. Unfortunately, our plan to open the second outlet is dead in the water. After the manager resigned, I have been struggling to keep my head above water. There is a new watering hole in town, let’s check it out on this Saturday. Before I decided to become a full-time photographer, I tested the waters by taking up a few freelancing projects. 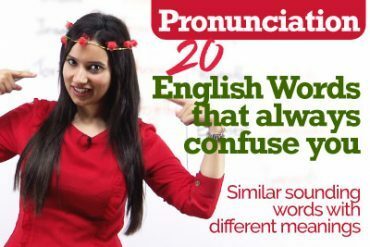 We hope this English speaking lesson has shown you how you can use these English phrases is so many ways and enhance your Spoken English conversation. 10 English phrases to change your decision or mind. What’s the difference between There, Their and They’re?